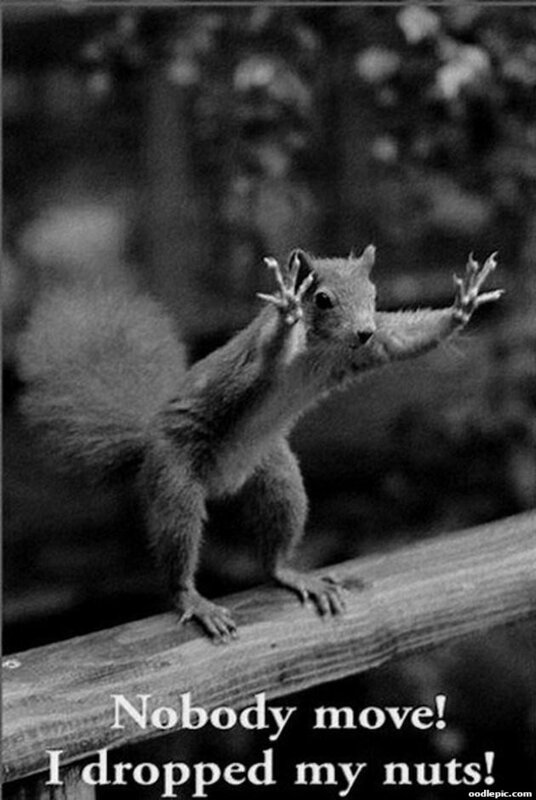 Squirrel putting his hands up in the air: Nobody move! 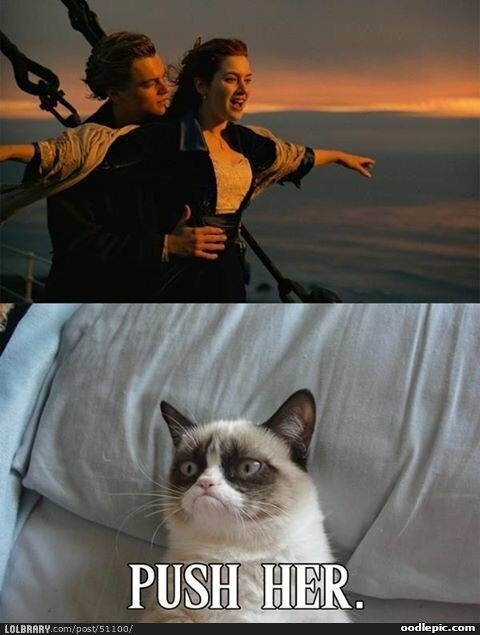 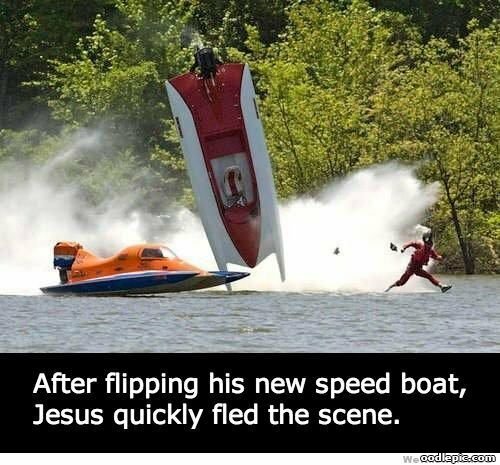 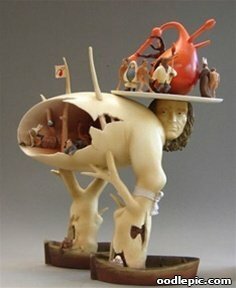 I dropped my nuts! 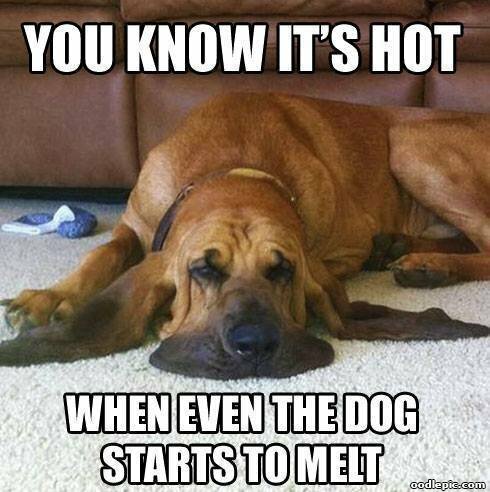 Basset Hound lying on floor: You know it's hot when even the dog starts to melt. 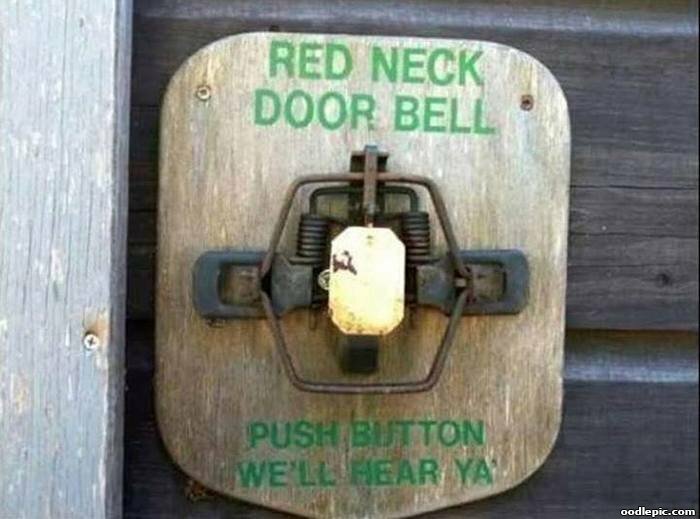 Rigged door bell - Red Neck Door Bell: Push button, we'll hear ya. 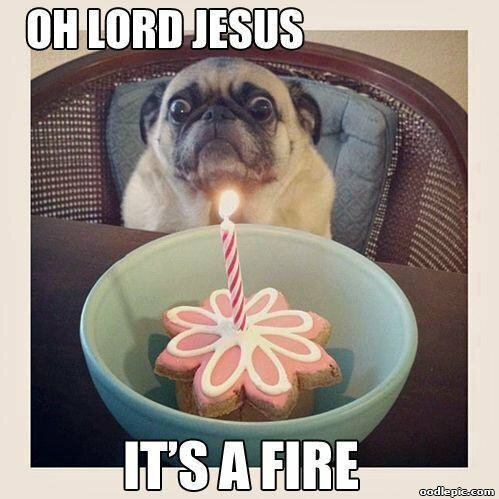 Freaked out pug looking at cookie with candle in it: Oh Lord Jesus, it's a fire. 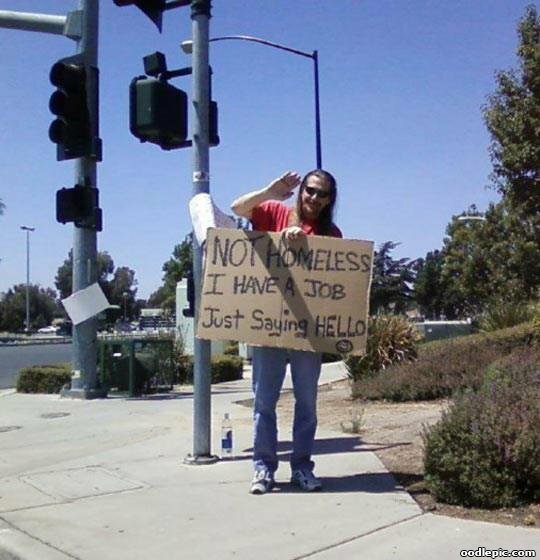 Man holding cardboard sign on sidewalk: Not homeless, I have a job, just saying hello. 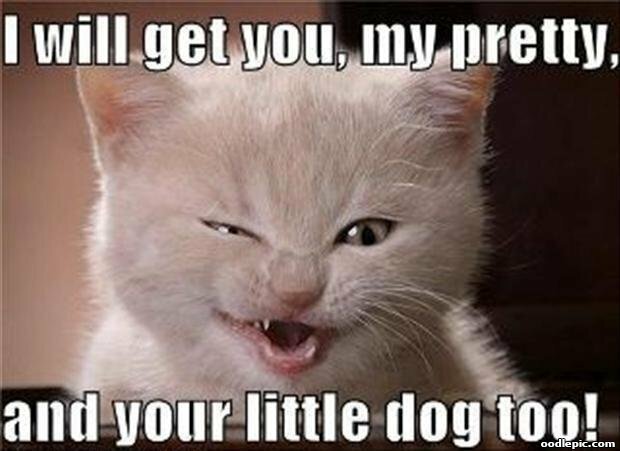 Winking kitten: I will get you, my pretty, and your little dog too!